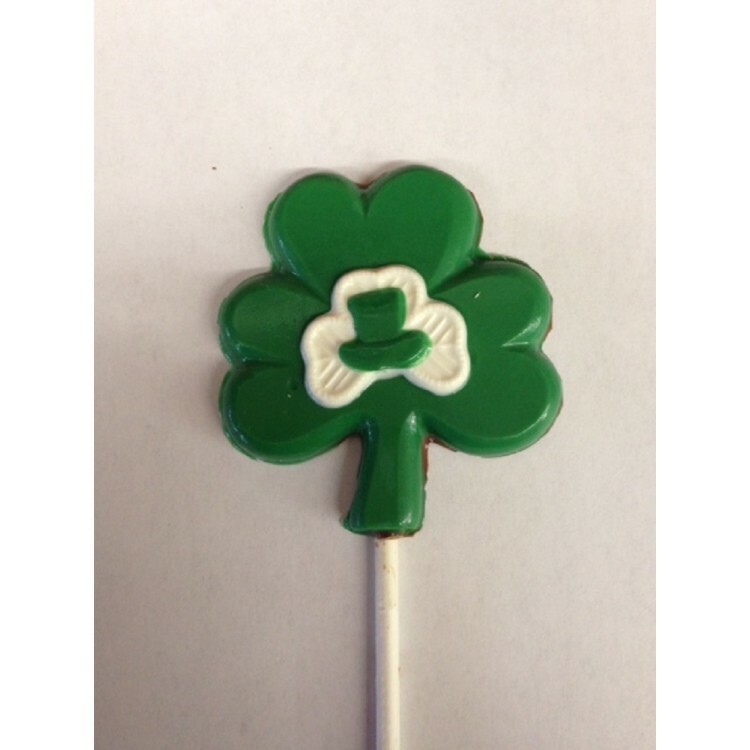 Our Double Shamrock with Hat Pop comes has decorated. Choose the Pop base color in the Pop Fill Color Option. As shown is Milk Chocolate Fill painted with Green and White Chocolate.